Vinessa Antoine wants to change the narrative and is working with the Surfing Association of Nova Scotia to possibly start a surf program for people from North Preston. 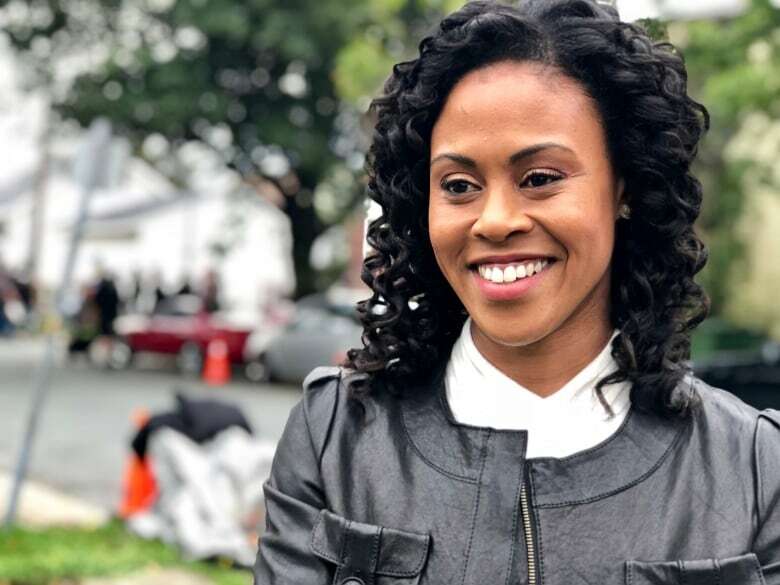 The opening scene of Diggstown, the new CBC-TV crime drama set in Nova Scotia, shows corporate lawyer Marcie Diggs coming off a surf board at Martinique Beach on the province's Eastern Shore. It's rare to see black or brown people on boards here. So having lead actress Vinessa Antoine, who plays Diggs, take to the waves was a way for Diggstown executive producer Floyd Kane to defy the stereotype. The opening scene of a black female character surfing is something Antoine, a former regular on the daytime soap opera General Hospital, said she's never seen on TV or in film. And it's disheartening to never see a black person surfing in Nova Scotia, she said. But the reasons run deep. 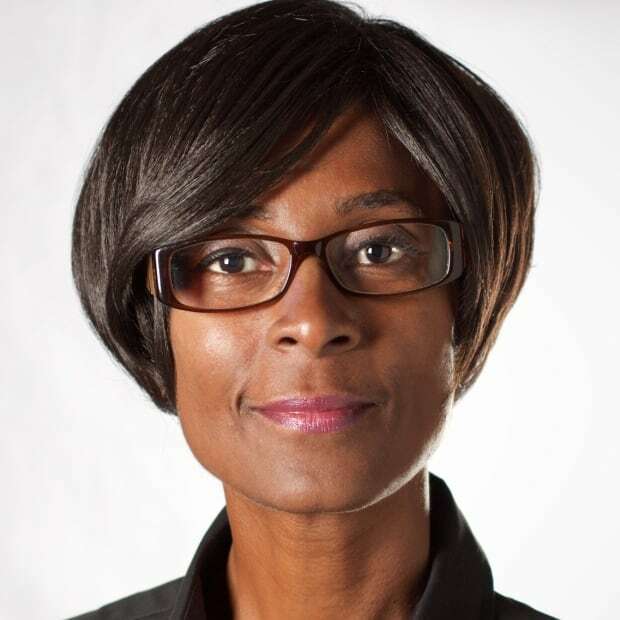 "I think if we go back in history, from the time where there was segregation and this idea of having no blacks on the beach, no blacks in the pool," she said in an interview. Even her mother, who grew up in the Caribbean, still to this day doesn't know how to swim, said Antoine, who is Toronto born but now lives in California, where she's taken surfing lessons. "The beach and the water were either a place to be scared of or a place where maybe it wasn't for you. It was a tourist thing, it was a place that maybe you weren't accepted." Antoine wants to change that narrative. She's talking with Beth Amiro, the president of the Surfing Association of Nova Scotia, about possibly getting a surfing program started for people from North Preston. The large black community on the outskirts of Dartmouth is not far from Lawrencetown Beach, which is one of Nova Scotia's most popular surfing spots. "I think traditionally surfing has always catered to a very specific demographic," Amiro said in an interview. "And so as long as I've been involved in this sport it's been a real struggle to see any diversity at all." About six years ago, the association started a surfing program in Cape Breton for youth from Eskasoni First Nation. That program has since expanded to include all five Mi'kmaq communities on Cape Breton Island, reaching over 60 youth each summer. Amiro was also involved in a women's surf school at Lawrencetown Beach, which ran for eight years, until 2013. When Amiro heard about Antoine coming to Nova Scotia to film Diggstown, she spoke to Kane about why there are not more people of colour surfing here. They came up with a bunch of different answers. "I went away just thinking, 'It's time, it's not really OK that there's this very thriving big community very close to the beach and that we're not seeing any of them in the water, and so I thought it's time to change that,'" Amiro said. LaMeia Reddick, who runs a drop-in space in North Preston for about 17 young people, welcomes the possibility of this new opportunity. "I think that it's definitely something that would be really engaging for young people or even for people who want to try something new," Reddick said. "I think it's kind of historical. I think historically our communities have had a fear of water and the ocean, and also I think we used to swim in lakes. I think swimming lessons really didn't happen." Reddick also cited limited transportation to a beach for people in her community as another reason why they don't surf. An informal inquiry on Facebook revealed why black Nova Scotians generally don't surf. Of the dozens of responses, some said they cannot swim while others said they are afraid of drowning or sharks. A couple said they cannot afford it. Some black women, in particular, said they didn't want to ruin their hair. Dartmouth resident Mark Maestro surfs year-round in Nova Scotia. He was born in the Philippines and immigrated to Canada in 1983. 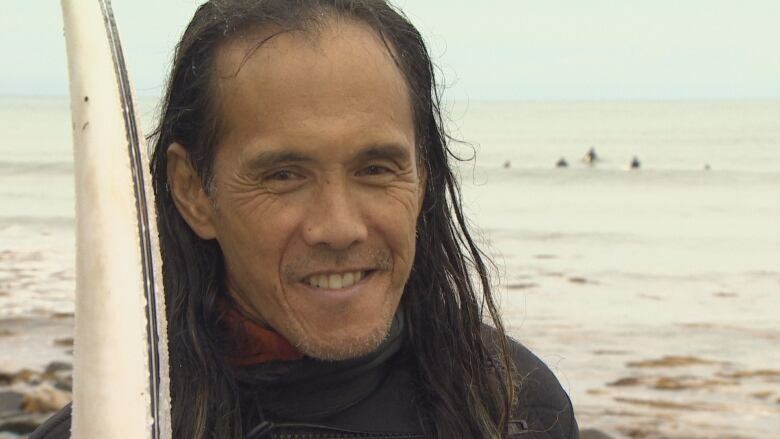 In the last 29 years he's been surfing here he said he has not met or seen any brown or black Nova Scotians that surf. On a recent visit one morning to Silver Sands Beach in Cow Bay, of the 10 surfers on the water Maestro was the only brown person. He said the fear of cold water, fear of drowning and costs are key reasons that prevent people of colour from surfing. "If you want to be involved in the sport, like to be committed, you've got to have money because this is … cold water surfing, not the tropical surfing," Maestro said. "And the cost of the board will cost you at least $700-$1,000 or up. Plus, you have to buy the gear, your wet suit, your gloves, your boots and all that stuff." He thinks a surfing program for North Preston would be a great idea. "Surfing is worldwide. I mean like it's people in Africa, in Nigeria, Ivory Coast … they surf. 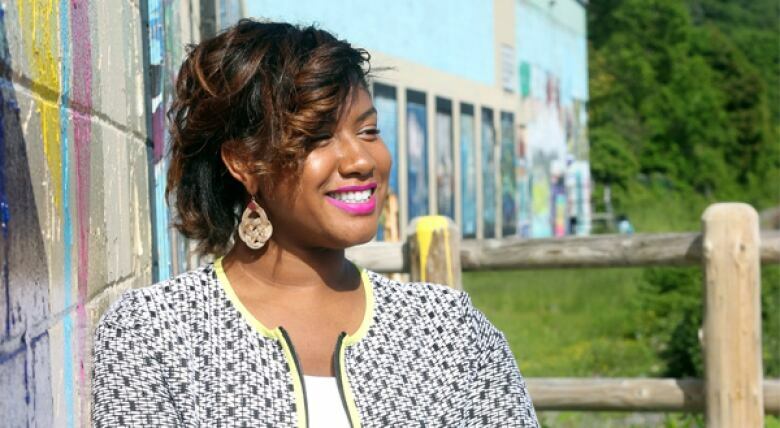 So why can't Nova Scotia … do that, especially the black community?" Diggstown will air on CBC-TV next year.